Mark began work in the forestry industry in 1979 working for the National Trust in Surrey and later in the Lake District. He returned to Surrey in 1981 to work for an Arboricultural Association Approved Contractor for one year as part of his work experience before attending Merrist Wood College and attaining the National Certificate in Arboriculture and City and Guilds 014 in Arboriculture. After college Mark worked as a Team Leader/Foreman and eventually became a Company Manager before leaving 6 years later to work for a year in the Arboriculture Industry in Australia which included a position with Adelaide City Council. 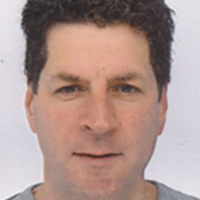 Following his return to the UK in 1987 Mark formed his own company specialising in arboricultural contracting. In 2006 Mark set up Lantra Awards Approved Training Centre – Land Skills Training Ltd. He is a Lantra Awards Approved Instructor.